Critiques must be handled with a deft touch, somewhere between soft-pedaling and soul-crushing. This advice will help you give constructive feedback that will leave the writer excited to make improvements rather than looking for the nearest rock to crawl under. As a managing editor, I’ve helped writers produce more readable content. I thought I had a knack for giving useful writing feedback. That is, until a writer friend asked for my thoughts on her novel-in-progress. I gave them, pointing out where her plot seemed to lag and the characters felt flat. Surely she would be grateful for my insight and go forth to make her book even better, wouldn’t she? Not so much. In fact, she eventually confessed that my comments caused her to shut down and stop writing for months, convinced she was doomed to fail and that her writing career was over. Most people have good intentions and don’t want to give blistering critiques. (Well, there are a few surly critics, but they’re not the audience for this article.) You’re here because you want to learn how to give good, straightforward feedback that won’t make the writer defensive or, worst of all, deflate his or her spirit. Here’s how to make that happen. We’re fragile people, we creative types. And, ironically, the more talented we are, the more likely we are to think we’re complete frauds—wannabe hacks undeserving of success.In fact, some creatives rack up impressive achievements all while feeling certain that, at any moment, someone’s going to expose them as nothing but a poseur. This psychological phenomenon is called impostor syndrome, and it strikes writers who produce anything from poetry to fiction to monthly marketing reports. It may well be what you’re up against when you start giving a writer honest feedback. Even if she’s not outwardly admitting it, the writer may feel like she has no business writing and should give up and make way for the real talents. Keep the writer’s psyche in mind when you’re preparing your feedback and make sure you acknowledge what they’ve done right as well as what needs improvement. Every piece of writing has some strengths, so look for them and be prepared to point them out. Read the whole thing. Thoroughly. Give the manuscript a thoughtful read-through (or two) before you give feedback. The writer is in a vulnerable position. He’s just handed you his baby and before you even hint that his newly minted child may not be attractive, you owe it to him to prove that you’ve invested more than a quick glance and offered a snap judgment. Don’t skim. Read deeply. Take notes. If you can’t commit to this, don’t give feedback. You may have heard of the compliment sandwich, a technique for sandwiching criticism between praise. It’s often used by managers when giving their employees feedback, but it’s recognized by many professionals these days as ineffective. Think about it. Would this help soften a critical blow? Instead, of sandwiching harsh criticism between empty positives, be honest. Don’t sugarcoat, but don’t trash the writing, either. “Diplomacy” is your watchword. I’d hate to see spelling and grammar mistakes distract from a promising article. Have you tried using Grammarly as a second set of eyes to help with proofreading? Do you think there’s a way to simplify this paragraph? Shorter sentences could do the trick. What about reading it out loud to see where you can improve the flow? Feedback is really about the quality of your suggestions, not the quantity. 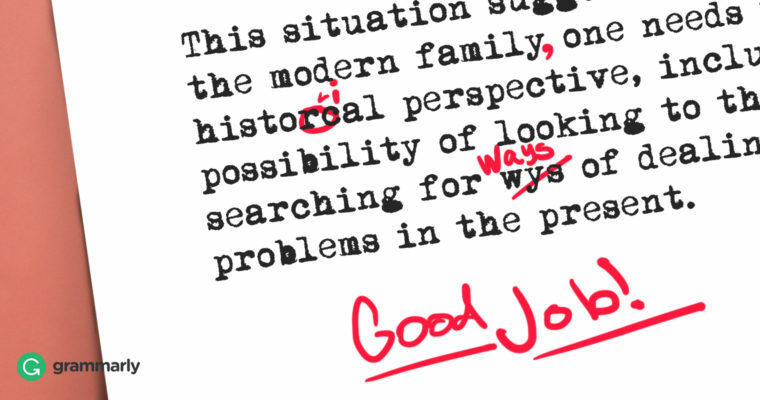 If the writer’s work needs proofreading, suggest a thorough line edit rather than picking at every little grammar, spelling, and punctuation nit. If passive voice or weak language choices are a theme, recommend that the writer take a closer look at those things. A mountain of feedback, no matter how constructive, can be overwhelming. Choose a few of the most important things the writer can do to improve the manuscript, then point out an example to help them understand what you’re referring to. He was walking walked to the market to meet Mary. Don’t treat feedback the same as you would a review. In most cases, when someone asks you for feedback, you’re looking at a work-in-progress, not a finished product. Giving feedback is about finding ways to suggest improvements, not declaring the work flawed and walking away. Share your ideas and tips. When you critique writing, your job is to determine whether the writer accomplished what they set out to do, whether that goal was to tell a good story or to write a convincing sales pitch. Focus on what the writer can do to improve the next draft and you’ll help them create a winning manuscript.